Carol Elaine Driver age 70 of Carrollton, passed away Wednesday, October 3, 2018. She was born December 23, 1947 in Carrollton, Georgia, daughter of the late Louis Cary Driver and Nevelle Walls Driver. She was a 1965 graduate of Central High School. 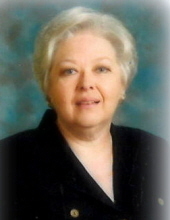 She received her undergraduate degree in Elementary Education in 1981 from West Georgia College. After teaching first grade at Central Elementary School for several years she returned to West Georgia College to pursue and receive a Masters Degree in Library Science/Media. Carol taught and served as the Media Specialist at Sand Hill Elementary School until her retirement from the Carroll County Board of Education. She loved books and teaching children the importance of reading. She was an active member of Stripling Chapel United Methodist Church where she held many positions including Sunday school teacher and choir member. She is preceded in death by her parents Cary and Nevelle Driver. She is survived by her sister and brother-in-law, Patricia and Joe Bell of Carrollton; niece, Brooke M. and Michael Harvey of Carrollton; nephew, John and Kristi McWhorter of Glenloch; and four great nieces and nephews, Kate Harvey, Matthew Harvey, Brock McWhorter, and Bailey McWhorter. Her college friends Denise and Jimmy Truitt of Royston, GA.
Funeral service will be conducted Saturday, October 6, 2018 at 12:00 PM from Martin & Hightower Heritage Chapel with Rev. Marlin Miller officiating. Interment will follow in Carroll Memory Gardens. Those serving as pallbearers will be John McWhorter, Brock McWhorter, Michael Harvey, Matthew Harvey, James Driver, Jeff Driver, Eddie Duncan and Michael Duncan. Honorary pallbearers will be David Duncan and Mike Calhoun. The family will receive friends at the funeral home on Friday, October 5, 2018 from 4:00 PM until 7:00 PM and again on Saturday, October 6, 2018 from 11:00 AM until 12:00 PM. In lieu of flowers, donations can be made to the Stripling Chapel United Methodist Church Trustees at 1830 South Hwy 27, Carrollton, GA 30117. Messages of condolences can be sent to the family at www.martin-hightower.com . To send flowers or a remembrance gift to the family of Carol Elaine Driver, please visit our Tribute Store. "Email Address" would like to share the life celebration of Carol Elaine Driver. Click on the "link" to go to share a favorite memory or leave a condolence message for the family.